Swimming pools and treadmills aren’t enough to attract desirable tenants anymore. With so many young people choosing to rent over buying a house, multifamily building owners will have to step up their game. 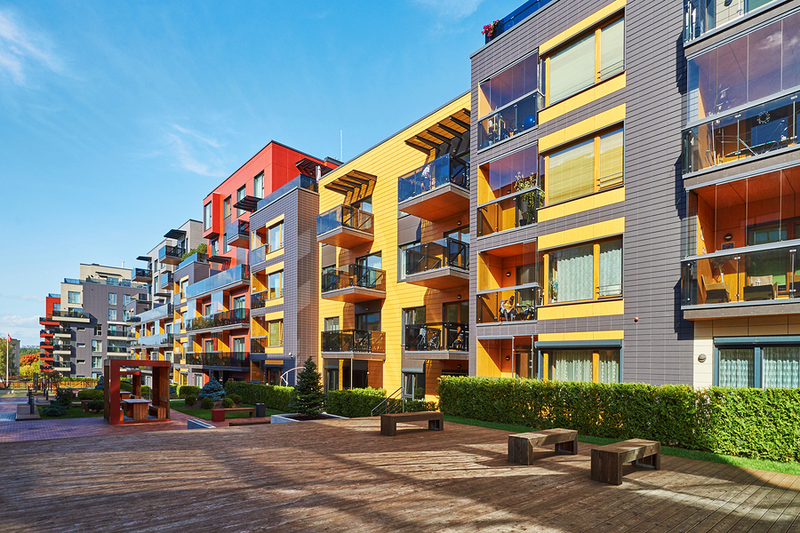 Amenities that will gain more popularity over the next few years will focus on technology, security, and a sense of community, so don’t be surprised if you start seeing these popping up in multifamily facilities across the country this year. E-commerce just keeps on growing – 23% year-over-year to be precise. Booming business is fantastic for online retailers, but it can cause issues in last mile logistics. Businesses, apartment complexes, condos, and even student housing are feeling the heat of surging package deliveries. Enter: package lockers. Package (or smart) lockers are catching on with building managers looking to streamline their package delivery process.The lockers allow time and resources to be allocated to tasks other than contacting package recipients and endless sorting. Plus, it makes delivery easier for couriers and pickup easier for recipients. The Maker Movement has been sparking the creativity in DIYers, aspiring inventors, and tinkerers nationwide. Living quarters are adapting to this modern “maker’s renaissance.” Renters with a knack for DIYing will be searching for dwellings that have the space for their creative tools. If an apartment doesn’t have the room for makers’ hobbies, there’s no chance they’ll consider moving. Expect to see more facilities with a footprint that includes a studio or workshop space in the coming years. Remote work is here to stay. Even behemoths like AT&T, Hilton Worldwide, and the U.S. Department of Agriculture are advertising flexible jobs: jobs with part-time, flexible schedules, telecommuting, and/or freelancing components. Telecommuters all have one thing in common – the need for a functional workspace. As a result, communal offices will be more common in multifamily buildings in 2018. 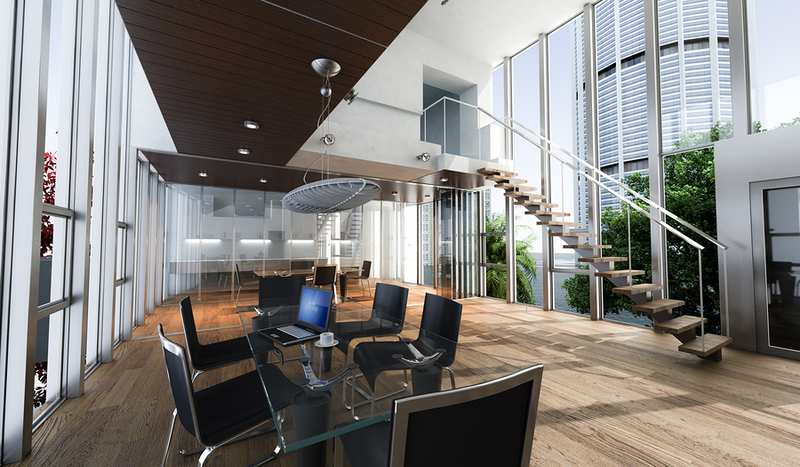 Luxury complexes are sure to up the ante in terms of outfitting communal workspaces, but all that’s truly necessary is a quiet space with desks, strong WiFi, and office chairs. Paint the walls a color that fosters productivity and creativity, and you’ve got a strong selling point with flex workers. Millennials are fitness-focused, and communities that cater to them are quickly adapting. Fitness centers aren’t a new amenity by a long shot, but what’s changing is the way they’re being used. What will set the gyms of the future apart from the sad, dingy fitness rooms of decades past is the equipment available and activities it encourages. You’ll see fewer stationary bikes and more free weights. Instead of shoving as many treadmills into a space as possible, square footage might be carved out for a weekly yoga class. For better or for worse, safety is a high priority for today’s renters. In 2018, more apartments will introduce high-tech security equipment despite the rising cost of sophisticated systems. Security cameras, access control systems, and gated parking lots will start to be more prevalent in multifamily communities, and it’s not just for tenants’ peace of mind. Even just the sight of a security camera can keep intruders at bay, with many burglars saying they would be deterred from a location because of cameras or more surveillance. Security officers also deter crime, so chances are that full-time security will become more common among luxury apartments. We’ve all seen the community storage units that are completely insecure – simple cubbies with no locks or even just a room everyone has the key to. With an increased sense of security among tenants and building owners alike, a big selling point will be private or locked down storage areas. The United States may be a bit behind in terms of bikeability, but the numbers of biking commuters have risen steeply in the past few years. 43 of the 70 largest American cities have experienced increased cycling rates. With more people taking to the roads on two wheels, secure bike storage is a must for apartment dwellers. A simple aluminum rack in front of the building isn’t going to cut it anymore. In 2018, more apartment buildings will dedicate a seperate room for bikes or even install racks that double as art. Concierge services will begin popping up in mid-sized and luxury multifamily buildings alike. Obviously, concierge services provide tenants a sense of security, but the benefits for building owners don’t stop there. 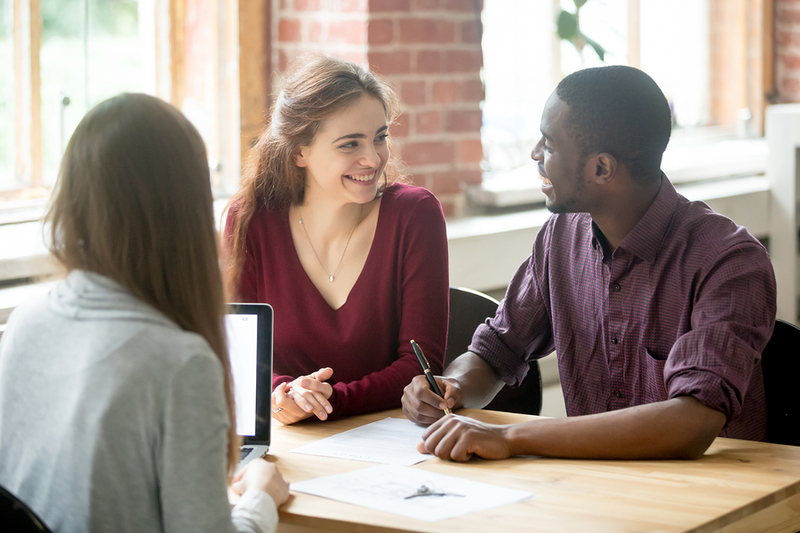 A well-trained concierge acts as a communication bridge between owner and tenant, leaving renters feeling more connected and cared for. In addition, concierge services make people’s lives easier in a demanding world. A good concierge can help greet guests, plan a night out on the town for unexpected visitors, and even help deliver mail to passersby. Concierge services are personal and functional. What’s not to love? By now you’ve probably figured out that a reasonable pet policy is a must for modern multifamily facilities. People love their pets like family! But this year, get ready to see more amenities especially for Fido. First up? Dog parks. A clean, open space designed specifically for canines and their owners gives them the chance to enjoy fresh air on site and to socialize with others in the building. For the cleanliness-focused crowd, some buildings are installing wash stations for tenants’ furry friends. Happy dogs = happy residents. Apartments are more than just a space to sleep between shifts: they’re a place for tenants to meet new people. Forward-thinking apartment developers will keep this trend in mind and bring some of the indoors outside. You’ll begin to see more outdoor barbeque and hangout areas in updated multifamily facilities, especially in more temperate climates. For those locations that have intolerable or unpredictable weather more often than not, indoor community spaces will begin to take priority. 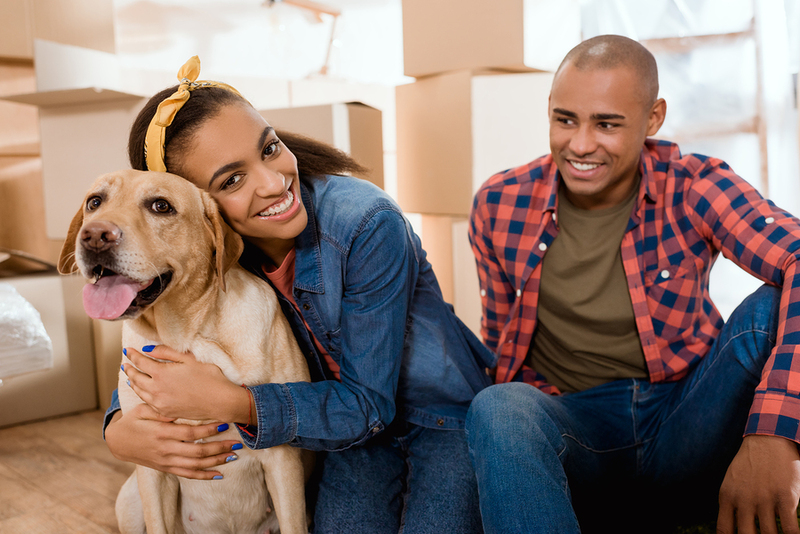 Apartment facilities are taking great care of their renters (and their pets), so they’re going to start taking great care of their vehicles as well. Expect to see more facilities offering covered parking and garages. For some, the trend won’t stop there, though. Remember when we mentioned dog washing stations? Some apartments are even installing car wash stations. A lot of apartment complexes are still behind the curve when it comes to renters’ desire for recycling services, leaving tenants to their own devices. And since Millennials are heavily focused on sustainability when it comes to shopping decisions, residential building owners will begin to offer recycling services as a selling point for top tenants. Free yoga classes? Happy hour? Run club? Residential community events might have previously held a certain “cheese” factor, but given the right building amenities and tenants, they’re gaining traction as huge selling points for modern multifamily facilities. Strong community as an amenity will continue to grow as a value-add to renters, especially for social Millennials and Gen Xers. And while renters might not pay more upfront for access to resident events, the experience they share with the community will keep them raving about the facility and renewing their lease. It’s not just college students who appreciate a common space to unwind with their fellow dwelling-mates. Adults today also enjoy time away from their screens. So, expect to see fewer empty common rooms and more pool, card, and ping pong tables! A game room isn’t just a space for renters to bring their guests. It’s also the perfect place for tenants to gather and get to know each other. A staggering 77% of Americans own a smartphone, and they need a plug to charge up. And while wireless charging of devices may be on the horizon, they’re still far from standard. Upgrades to multifamily units will start to include smaller amenities like convenient USB plug sockets. The days of fighting over the last charging block might be dwindling! If there’s one thing Millennial renters love, it’s eating. And contrary to popular belief, a fair share of Millennials like to cook at home: 49% of American Millennials reported making cooking at home a priority last year. With meal kits, grocery delivery, and quick access to recipes, it’s easier than ever to create healthy, delicious meals. Multifamily facilities that cater to the younger crowd will be focusing on kitchen remodels in 2018 and beyond. Even if their tenants don’t plan on cooking, chances are entertaining will be on the menu, and the kitchen is the perfect place to gather. A lot of trending 2018 building amenities will focus on a sense of community among residents, but if there’s one experience renters don’t want to share, it’s doing laundry. Not only is it a less-than-glamorous chore to share with your fellow tenants, but there always seems to be a hurdle to laundry going off without a hitch. Common annoyances like a quarter machine being on the fritz and other tenants leaving clothes in the dryer overnight makes communal laundry less than desirable. Even with top-notch facilities, tenants will have a beef with communal laundry and will pay more to have machines in-unit. An added bonus for developers is they can then use that square footage for another value-added amenity. Today’s renter wants to be connected to their friends, their work, and even their home. To keep up with the demand for constant connectivity, apartment owners will have to start implementing smart home technology. Think a connected thermostat, light bulbs, and even blinds. Unit renovations are no longer just seen as a face-lift – they’re considered an amenity. If there’s one thing people value in apartments today, it’s the feeling of a cozy home as opposed to a run-of-the-mill, mass-produced living facility. We already talked about how kitchens will be the highlight of many apartment renovations going forward, but other architectural features will take center stage as well. Things like hardwood floors, high ceilings, and exposed brick will continue to be sought-after features that renters will end up paying more to have. Not sure which of these amenities are right for your building? Set up a time to talk with us. Package lockers might be the perfect fit for your community!